﻿Writing and Publishing Research in Kinesiology, Health, and Sports Science is published by Routledge. Drawing on real-world experience and presented in an informal and accessible manner, Writing and Publishing Research in Kinesiology, Health, and Sport Science provides upper-level students and early-career academics with an essential resource to aid in disseminating research and publishing their first papers. This is important and accessible reading for any researchers seeking advice on publishing their work in fields including but not limited to kinesiology, health, exercise science, physical education, or recreation. 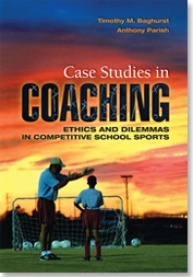 ﻿Case Studies in Coaching: Ethics and Dilemmas in Competitive School Sports is published by Holcomb Hathaway. The nearly two dozen case studies in this realistic, timely book will help future and current coaches of youth sports develop successful strategies to avoid or overcome obstacles and become more aware of the need to remain professional and consider the implications of their actions. Based on real-life situations, it considers ethical and practical dilemmas from sports in locations across the country. These compelling case studies illustrate everyday scenarios—such as teaching style conflicts, scheduling issues, cheating, confidentiality decisions, and working with over-involved parents—that occur in school coaching and athletics. The cases and the thought-provoking discussion questions that follow allow readers to work through the types of dilemmas they will face in their coaching careers and then carefully formulate their responses and decisions. A resource list for each case allows readers to further explore the issues and develop their personal responses to each situation. An accompanying instructor's manual, available upon adoption, includes possible responses to all discussion questions. 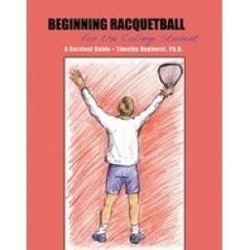 Beginning Racquetball for the College Student: A Survival Guide was published in 2008 by Kendall Hunt (then bought out by Taylor & Francis). It is written for beginning racquetball classes and players and is an easy-to-read manual on the basics of the game. It is designed to provide the beginning student with the bare necessities about game rules, competent play, and basic strategies of racquetball. Detailed illustrations help students visualize grips, ball placement, and player movement on the court. Instructions directed at beginning racquetball teachers help customize drills and games to class size and student ability. The book covers equipment and safety; scoring; grips; forehand and backhand swings; offensive and defensive strokes; serves and returns; strategies; terminology; and ways to gain a competitive edge. There are also sections on drills and competitive play for students who want to get serious about the sport, including information on racquetball associations and official rules of play. Features An easy-to-read style helps students understand the elements of the game. Detailed illustrations help students visualize grips, ball placement, and player movement on the court. Instructions directed at racquetball teachers aid in classroom drills and games. 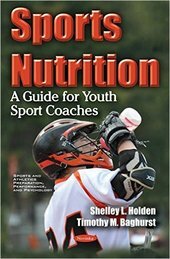 Chapters on weight training and nutrition give students a competitive edge. Baghurst, T., & Eichmann, K. (2016). Nutritional education program to reduce obesity. In J. Merrick(Ed.) Children and childhood: Some international aspects. pp. 89-100. New York: Nova Science. Baghurst, T., & Eichmann, K. (2015). Effectiveness of a child-only and a child-plus-parent nutritional education program. In J. Merrick (Ed.) Child and adolescent health yearbook 2014. New York: Nova Science. Eichmann, K., Baghurst, T., & Jayne, C. (2015). Lactation education and breastfeeding duration. In J. Merrick (Ed.). Child and adolescent health issues: A tribute to the pediatrician Donald E Greydanus. pp. 51-60. New York: Nova Science. Baghurst, T. (2013). The psychological components of elite cycling. In R. Schinke (Ed.). Athletic Insight’s writings of 2012. New York: Nova Science. Baghurst, T. (2013). Bodybuilding: Body image and eating disorders. In J. Reel (Ed. ), Eating disorders: An encyclopedia of causes, treatment and prevention. Santa Barbara, CA: ABC-CLIO. Baghurst, T. (2013). Dolls and body image. In J. Reel (Ed. ), Eating disorders: An encyclopedia of causes, treatment and prevention. Santa Barbara, CA: ABC-CLIO. Baghurst, T. (2013). Masculinity ideals. In J. Reel (Ed. ), Eating disorders: An encyclopedia of causes, treatment and prevention. Santa Barbara, CA: ABC-CLIO. Baghurst, T. (2013). Muscle dysmorphia. In J. Reel (Ed. ), Eating disorders: An encyclopedia of causes, treatment and prevention. Santa Barbara, CA: ABC-CLIO. Baghurst, T. (2013). Weight class sports. In J. Reel (Ed. ), Eating disorders: An encyclopedia of causes, treatment and prevention. Santa Barbara, CA: ABC-CLIO. Baghurst, T. (2013). Wrestlers. In J. Reel (Ed. ), Eating disorders: An encyclopedia of causes, treatment and prevention. Santa Barbara, CA: ABC-CLIO. Baghurst, T. (2009). Action figures. In R. Carlisle (Ed. ), Encyclopedia of play. Santa Barbara, CA: ABC-CLIO.